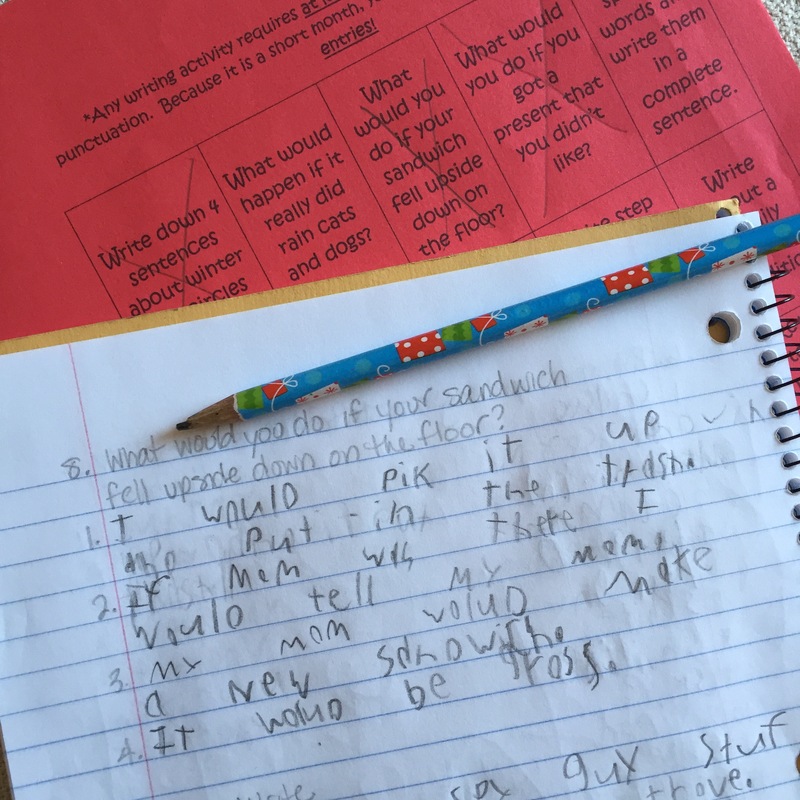 Writing Wednesday: What would you do if your sandwich fell upside down on the floor? I thought I’d try out a fun segment here called Writing Wednesday. I’m always up for little creative writing, and I have to help my 2nd grade son with his homework. Two birds with one stone, right multitaskers? Every month he brings home a “bingo board” with 20 writing prompts in squares (Ok, ok… they’re really rectangles, if you need to be specific), much like a bingo board. He has to complete usually 15 of the prompts, 4-5 (or more) sentences per prompt, with correct capitalization and punctuation. Every Wednesday I’ll share his 4 sentences (he FOR SURE stops at the minimum) as well as my response to the writing prompt. What would you do if your sandwich fell upside down on the floor? My son’s response was pretty straight forward for a 2nd grade boy. What would I do if my sandwich fell upside down on the floor? That’s a good question, and the answer totally depends on what floor we’re talking about. My kitchen floor? Right in the trash. Do not pass go. Do not collect $200. Do not attempt to see if the sandwich has appeared to collect unwanted ingredients – because it totally has. There are stale crumbs and play doh and glitter and probably dried spaghetti now stuck to the sandwich. RIGHT. IN. THE. TRASH. My mother-in-law’s kitchen floor? Immaculate. The phrase “the floor was so clean you could eat off of it” may have very well originated in her kitchen. I’d consider picking up the rogue sandwich, giving it half a glance, brushing it off and eating it. I’m telling you, cleanest kitchen floors on earth. However, if we’re talking about peanut butter and jelly, I think that’s a no-go no matter what. You can’t brush dirt from that sticky mess, most of the pb&j has probably stuck to the floor anyway. Just make a new one. And if there isn’t anything left to make a new one, eat something else. Right after you clean up the goop you got all over the floor. In summary, it’s situational… and eat over your plate so your food doesn’t end up on the floor. So, what would you do if your sandwich fell upside down onto the floor? Let me know in the comments – because now I’m totally curious! Posted on January 13, 2016 January 13, 2016 by in Style and in SanityPosted in UncategorizedTagged assignment, creative writing, funny, hobby, homework, mom life, writing. I abide my the 3 second rule unless my floors are absolutely atrocious. So, I would pick it up and eat it. Waste not, want not, lol! I love that you’re blogging now! I’ve been following you on Insta forever (I’m a friend of Samara Postuma as well and I believe you know her). Anyway, to answer your question, if it’s my kitchen, that stuff is going in the garbage. But I will eat Cheerios off the floor and couch of our living room with my two year old. But they’re not a sticky, messy PB&J and we pick them up pretty fast when they fall!